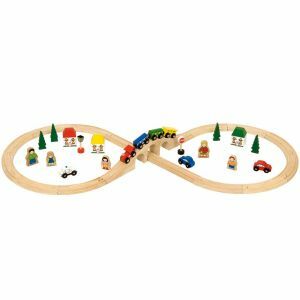 toys-toys-toys.co.uk: Bigjigs Railways make world record attempt at longest wooden track ever laid. Bigjigs Railways make world record attempt at longest wooden track ever laid. 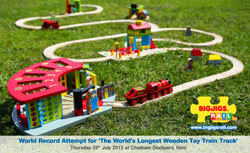 On the 26th July 2012 at Chatham Dockyard, Bigjigs Toys will be attemping to break The Guiness World Record for the longest wooden toy train track ever laid. They are expecting to use over 10,000 pieces of track to reach their target of 2012 metres which would well and truly beat the excisting record of 1650 metres. Doors will be open at 10am and Bigjigs are promising this to be a fun packed enjoyable family day with games, competitions and a childrens play area and best of all it will be free to members of the public to come along and watch this monumental attempt being made and cheer the team on. This is all being done for charity and Bigjigs are hoping that the public will involve themselves by sponsoring pieces of track at a cost of £1 each with all monies raised being split between the Chatham Dockyard Locomotive Restoration Fun and Demelza House Children's Charity. If you are unable to make it on the day then please follow the link http://www.justgiving.com/bigjigstoys and give your help as all support is welcome. 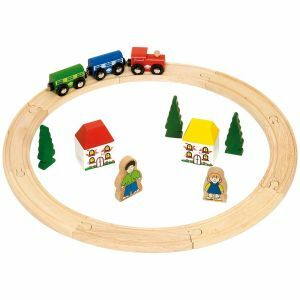 Bigjigs range of wooden Trains and Tracks are one of our most consistant selling items that we keep in stock and they all make ideal presents for boys or girls. Whether you begin with 'My First Wooden Train Set', or want the larger ' 40 Piece Wooden Train Set' there are many options available and should you wish to extend these or add to any wooden train sets you already have then there is a ' 25 Piece Expansion Set ' and another idea is the ' Bridge Expansion Set '. All of Bigjigs train sets will link together with any other well known branded train sets enabling you to make an endless variety of layouts and configurations.